Maine Republican Susan Collins continues to be the target of abortion activists who are pressuring her to oppose U.S. Supreme Court nominee Brett Kavanaugh’s confirmation. 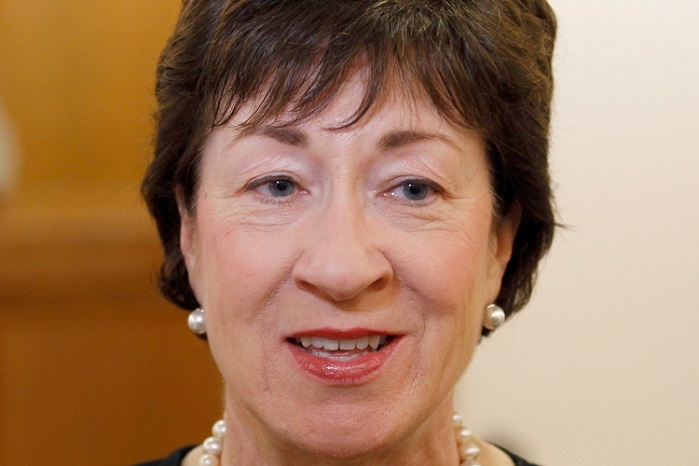 Collins, one of just two pro-abortion Republicans in the U.S. Senate, said she still has not made a final decision on the conservative nominee. But she did make several positive comments about him to the local press this week, the Sun Journal reports. Republicans hold a slim, two-member majority in the U.S. Senate, and Collins and fellow pro-abortion Republican U.S. Sen. Lisa Murkowski are key swing votes. Both have pro-abortion voting records, though they did vote to confirm President Donald Trump’s first nominee to the Supreme Court, Neil Gorsuch. Every vote counts, and the abortion industry knows it. Planned Parenthood, NARAL and other pro-abortion groups have been pouring millions of dollars into the mid-term elections and lobbying efforts against Kavanaugh. It appears Collins has not been swayed, though. Her spokeswoman defended a recent email that Kavanaugh wrote about Roe v. Wade. Abortion activists have been using it to attack him, suggesting it proves he would vote to overturn the infamous abortion case. Collins, who remains undecided on Kavanaugh, has said that she would not vote for a nominee who “demonstrated hostility” toward Roe v. Wade. But she pointed out that after an Aug. 21 meeting with Kavanaugh in her office that the nominee had told her he considered Roe v. Wade “settled law.” Collins also has made several positive comments about Kavanaugh. Collins is facing intense pressure to oppose Kavanaugh. Liberal activists even crowdfunded more than $500,000 to support an opposing candidate if she votes to confirm Kavanaugh, the report states. A federal judge, Kavanaugh has served on the U.S. Circuit Court of Appeals for D.C. for more than a decade, where he developed an extensive record of protecting religious liberty and enforcing restrictions on abortion. Pro-life leaders believe he would do the same on the U.S. Supreme Court. His confirmation hearings began Tuesday.